We live in the age of social media. 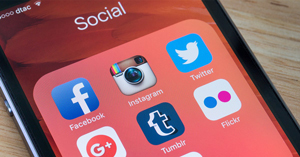 According to Pew Research Center’s Internet Project, roughly three out of four online adults use social networking sites such as Facebook or Twitter. A similar number of financial advisors use online platforms for work, according to a study from Cogent Reports/Market Strategies. So we’re clearly high on the social media adoption curve, both for consumers in general and financial advisors in particular. With social media a reality, the challenge for agents and advisors isn’t whether or not to enter the fray, but how to derive maximum value from it. To that end, here are 10 best practices that will help you elevate your game. Do social media with the right frame of mind. In other words, don’t view it as a means to snare a lot of new clients. Approach it as a way to promote your expertise to a much larger audience and to use the efficiencies of the Internet to generate leads and to build a prospect database. Don’t expect social media to replace your traditional sales process; instead, view it as a way to scale your outreach to a vastly larger audience by leveraging the Internet’s reach and viral power. Don’t just post in order to post. Create a strategy and plan to guide your efforts. By “strategy” we mean having a clear sense of your value proposition, of the pain points you help your ideal clients solve, and of the unique expertise you bring to bear. Once you’ve defined those elements, think through how to best use your business website as a content-publishing platform. Most advisors do this by creating a blog, where they can share their thoughts and expertise on their clients’ “pain points.” Then they post links to their articles on social media to draw traffic back to their site. Your social media plan should also define how to use various social-media platforms. For example, you might view a business Facebook page as the primary vehicle for promoting your blog content. But then you might use Twitter to build a network of industry contacts. Finally, you might consider LinkedIn as the best place to host your profile and to participate in special-interest groups. Make it all about content. The best way to take your social-media marketing to the next level is to publish robust content that addresses the financial problems worrying your clients. “Robust” is key because you want your posts and articles to deliver keen insights that impress prospects and clients. You also want those insights to be actionable, meaning that after reading your content, prospects should feel motivated to contact you for more information, to sign up for your newsletter, or to request a meeting. Become a voracious reader of business and financial websites and publications. Always be on the lookout for new (or evergreen) financial problems bedeviling the public. Then figure out a way to address the problem in an article that conveys your unique expertise. Develop an editorial calendar showing how much content you plan to produce over the next few months. It’s better to schedule less content produced to a higher standard than more content written for either a more generic audience or having only superficial guidance. Prescriptive: telling readers what they should do. Provocative: taking an unusual or thought provoking approach to a topic. Prudent: promoting conservative, cautious approaches that keep clients safe. It’s possible to combine more than one P in an article, but always make sure to include prudent in every article you write. Keep your branding in mind. Think through how you’ll present yourself to the public via social media. How will you describe your firm in your various social-media profiles? How will you leverage your firm logo? How will you stress your firm differentiators vs. your competitors. What specific points will you make about your hard-won experience and specialty areas? What professional designations and other educational experiences will you highlight? The totality of impressions you make via social media should be consistent, powerful, and self-reinforcing. Focus on people, not self-promotion. Use technology to engage with people in a highly personal way, not to bludgeon them with self-serving marketing messages. With every article and post, try to help others by sharing what you know. Don’t just troll for new clients and talk about how great you are. Offer yourself to the vast Internet as a highly authoritative expert who loves people and is eager to serve. This will set you apart from the vast majority of other financial advisors competing for Internet attention. Use social media to help client families. Use social media to learn more about your clients’ financial issues, especially about the challenging life events they may be facing. A couple caveats, though. First, you don’t want to do this on LinkedIn or even Twitter. It’s best to use Facebook, which is a more relaxed platform for engaging with clients more intimately. Second, you don’t want to intrude on sensitive family matters. But if you notice online that a client is having a problem, consider sharing an article that might help or a professional contact the person might benefit from. Again, you don’t want to be using client crises as sales opportunities; that’s ambulance chasing. But you do want to help people out if you have a legitimate resource or insight to share. Always defer to your firm, broker-dealer, registered investment advisor or insurance FMO compliance team when doing social media. You want to follow the rules so they don’t view you as a “problem case” and let you operate freely within established ground rules. A key point to remember: social media regulation largely involves the application of existing regulations to a new technology. So if you can’t do something in the offline world, refrain from doing it online. If you have both personal and professional social-media accounts, refrain from discussing business on your personal accounts. If a friend insists on getting financial advice from you, ask the person to call you at work or to e-mail your work address. Avoid making investment recommendations on social media, either for a specific investment or for an overall strategy. The reason is FINRA Rule 2111 requires that advisors have a reasonable basis for recommending a particular security based on a client’s risk profile. However, since it’s impossible to know the risk preferences of everyone linked to your social media accounts, it’s dangerous to make specific recommendations in that forum. If someone actually implements your advice and then gets burned, you might subject to a suitability violation. FINRA and the SEC mandate recordkeeping for all business communications. This also applies to social media posts. Fortunately, a number of new vendors have emerged that help to facilitate social media archiving, including SocialWare, Actiance, Smarsh, and Arcovi. If you’re currently with a large firm, it probably has an archiving solution in place. Just be sure to work within the confines of that system so you don’t create regulatory headaches. Know the difference between static and online forum content. Static content refers to information that doesn’t change much such as LinkedIn or Facebook profiles. Regulators treat such content as advertising, which means a firm principal must approve it in advance. Online forum content refers to things like tweets and Facebook status updates. Normally, the latter type of content doesn’t require pre-approval. However, many of the larger insurance/investment firms require that advisors only post content from pre-approved libraries using stock lead-in language. But advisors can post in their own voice as long as they get a supervisor approval. Obviously, owners of small insurance agencies or solo producers will have much more latitude than advisors working in larger firms. But it’s still important to get static content approved and to avoid misleading, inaccurate, or promissory language in forum posts. If you’re an investment advisor, refrain from posting client endorsements (defined broadly) on social-media sites you control. However, feel free to encourage your clients to write reviews on sites such as Yelp, Google Reviews, and the like, since you have no ability to edit the content to make it more favorable. Finally, keep your social-media machine humming! The best way to optimize your results is to post consistently, track your results, and keep refining how you position your professional expertise to grow an online audience. If you’re new to this, start small and work your way up. If you’re a veteran, look to scale back what’s not working and add new strategies that might pay off better in the future. Because at the end of the day, becoming a successful social-media financial marketer is simply about doing it, learning from your mistakes, and doing it again. Good luck!